In an effort to get the weekly list of new comic arrivals to you, we have started a weekly newsletter which will be sent out via mailchimp on the weekend before new shipments. Because we didnt want to wholesale transfer all the email addresses from the website to you individually, we're sending out this sitewide blast so that you can more easily sign up and get a brief synopsis of whats coming out each week. I've put the most recent issue(December 8th) below the subscription link so that you can get an idea of what it will look like. We'll only be sending one of these per week out so that it's not spammy, and you will have the option of receiving it in text or full html format. So take a look, and if you'd like to get a handy dandy list of what will be on the racks(as opposed to projected releases) take a minute to sign up for it to be sent directly to your device. Welcome. This Wednesday (DEC 13th) we are honored to host writer Paul Allor at both Downtown (11am-1:30pm) and North (4pm-7pm) locations for the release of his new comic MONSTRO MECHANICA. It's Christmas season...we have a special Holiday Wish List sheet you can download, fill out, and hand to your relatives to bring in and shop for you(and when in doubt your can always say GIFT CARD please). And for our Newsletter subscribers a special heads up next Thursday (DEC 14th) we will be having a special 1 day Star Wars Sale. Show this newsletter on your mobile device at the register and you can take advantage of this sale a DAY EARLY (WED DEC 13th). The official guidebook to the Marvel Cinematic Universe takes you from the world-changing events of 2014's Captain America: The Winter Soldier - all the way to an ALL-NEW exclusive chapter covering 2017's Guardians of the Galaxy Vol. 2! 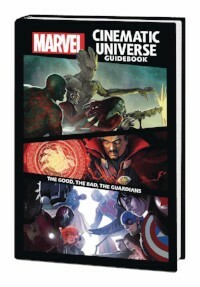 Filled with fact sheets, movie-to-comic comparisons, behind-the-scenes art and production stills, this volume's in-depth character profiles give you the whole story on heroes like Vision, Ant-Man, Doctor Strange, Spider-Man, Black Panther and Mantis; updates on classic Avengers like Captain America and Iron Man; and the lowdown on lowlifes like Hydra, Ronan, Ultron, Crossbones and Dormammu! It's the ultimate FYI for the MCU! Collecting GUIDEBOOK TO THE MARVEL CINEMATIC UNIVERSE - MARVEL'S CAPTAIN AMERICA: THE WINTER SOLDIER, MARVEL'S GUARDIANS OF THE GALAXY, MARVEL'S AVENGERS: AGE OF ULTRON, MARVEL'S ANT-MAN, MARVEL'S CAPTAIN AMERICA: CIVIL WAR, MARVEL'S DOCTOR STRANGE and MARVEL'S GUARDIANS OF THE GALAXY VOL. 2. A Diamond Select Toys release! 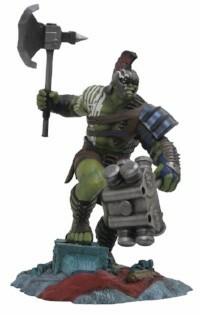 The highly anticipated Thor: Ragnarok movie is bringing us one of the most exciting Hulk looks ever, and this Marvel Gallery PVC Diorama captures him at his most enraged! Measuring approximately 12 inches tall, this sculpture of a fully armored Hulk wielding twin weapons is the must-have collectable from Thor: Ragnarok. Featuring detailed sculpting and paint applications, this 9-inch scale diorama comes packaged in a full-color window box and is in scale to all other Gallery and Femme Fatales figures. Sculpted by Rocco Tartamella! Brand New from Eaglemoss! A high-quality collection of busts from over 75 years of Batman Comics, TV shows, movies and video games. 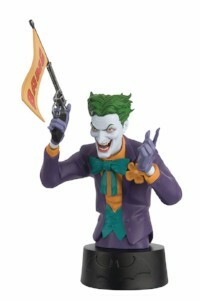 Each bust is approximately 5 inch tall, and will be accompanied by a 16-page magazine packed with information about your bust, the character it represents, and over 75 years of DC comic book, TV, Video game, and Movie History. From Comic Images. Return a galaxy far, far away this December as the eagerly-anticipated Star Wars: The Last Jedi arrives in theaters! 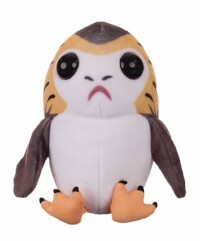 Take home your favorite characters from the beloved space fantasy series with these new super-deformed plushes! Copyright ©2017 Downtown Comics, All rights reserved. 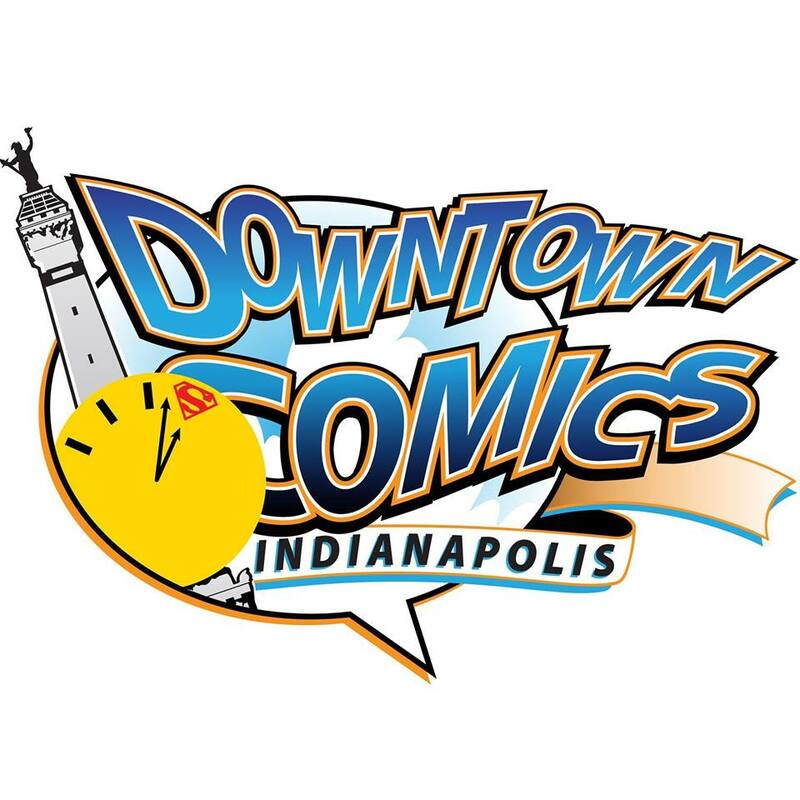 In accordance with the SPAM Act, we want to make sure you are receiving the Downtown Comics email because you want to keep up with the latest happenings in the world of comics.